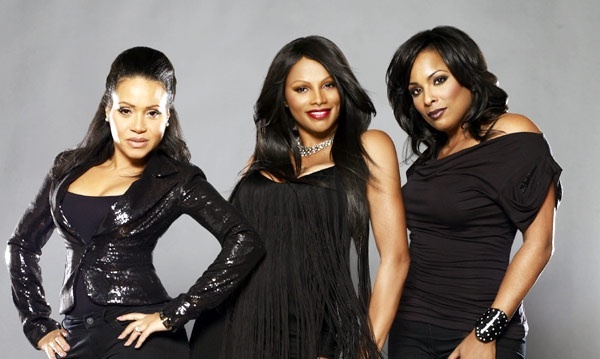 On the "A" w/Souleo: Salt-N-Pepa Back Together Again as a Trio? Is Deidra "DJ Spinderella" Roper the "N" in Salt-N-Pepa? It was a question the DJ Spinderella posed to her fellow legendary hip-hop group members Cheryl "Salt" James and Sandra "Pepa" Denton on their VH1 reality show in 2007. Nearly seven years later Salt finally has an answer: yes. At the 10th annual VOICES benefit for the youth development organization Brotherhood/Sister Sol, held at New York City's Edison Ballroom, Salt revealed that the trio has officially reunited. DJ Spinderella is now a full-time member represented in the group's name. The news has delighted numerous fans that always considered DJ Spinderella an official third member of the group and not a hired hand (as Salt and Pepa previously implied on their series). "We just reunited again," said Salt. "Spinderella was performing sporadically with us and we decided to bring her back full-time. She is the 'N' forever." Salt admitted that getting to this point was not easy with the group needing an intense conversation to address their issues. "We got together one day and put it all on the table without cameras. We came to the conclusion that the petty stuff is too young for us. We are too old for foolishness. When you're older what you thought mattered doesn't mater." Salt wouldn't say if the group was planning a new studio album yet but they are currently touring and plan to take part in a new Geico commercial. 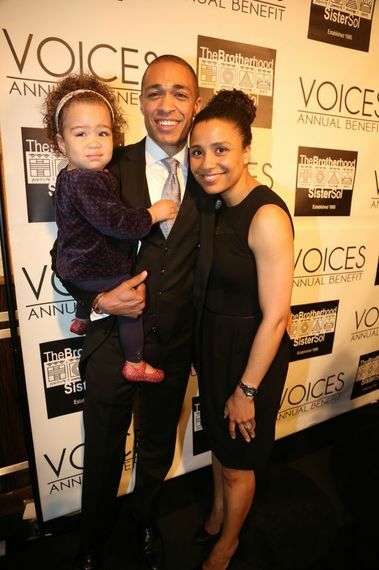 The evening's host for VOICES 10, T.J. Holmes brought along his 16-month-old daughter and wife as he posed on the red carpet and revealed plans for a new book. "I am about to get going on my first book. It is about relationships and not just romantic ones. 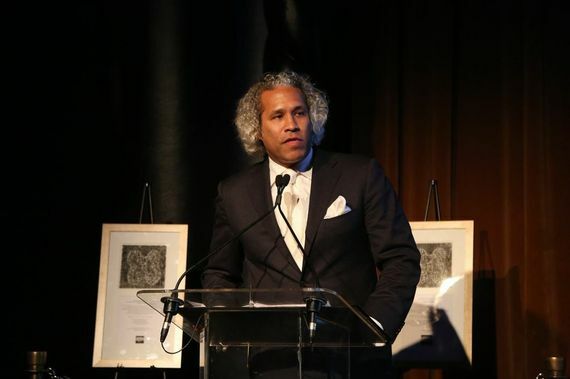 It is in the very early stages," said the award-winning journalist and television personality. After last year's abrupt cancellation of his BET late-night news series Don't Sleep, the former CNN host has made regular appearances on MSNBC. But don't expect him on TV full-time soon since he is a new dad and enjoys the freedom of further building his own brand via freelance work. "I don't know if I'll ever go back to that traditional role I had. People have to understand you are in business for you first and foremost. I cannot say I am CNN and MSNBC. I am T.J. Holmes first. Businesses have to want what you offer and not you be attached to that name." It is a tradition that poets perform at VOICES 10 and this year was no different. It is one of the many ways that executive director and co-founder, Khary Lazarre-White, is able to instill a strong moral fiber in youth. "We have a problem with a moral center now but arts in their core form a moral center," he said. "We want to pull back from reality TV stars and help young people to read writers like Toni Morison and James Baldwin and go to a Carrie Mae Weems exhibition. This helps them develop a broad understanding of what it means to be black or brown." Such exposure to the arts and positive images is proving its value for the non-profit with 94% of its students graduating from high school and 95% working full-time or enrolled in college. The weekly column, On the "A" w/Souleo, covers the intersection of the arts, culture entertainment and philanthropy in Harlem and beyond and is written by Souleo, founder and president of event/media content production company, Souleo Enterprises, LLC.